The omega-3 supplement business is doing serious harm to the environment. That’s what Paul Greenberg, a long-time contributor to The New York Times, argues in his new book, The Omega Principle: Seafood and the Quest for a Long Life and a Healthier Planet. About one quarter of all the fish we eat, or 20 to 25 million metric tons of anchovies, herring, and other omega-rich fish, are caught and reduced into nutritional supplements, animal feed, and fertilizers every year. In short, the demand for supplements is knocking out a huge chunk of the little fish upon which the larger ocean ecosystem depends. It's critical to rethink the way we fish, says Greenberg, in an recent interview with Terry Gross, the host of Fresh Air on NPR. “So that we're not just thinking about how many fish we need for next year. We're really looking at the whole entirety of the ecosystem and considering how much we're going to take out of the ocean so that everybody is well-fed, and everything is in balance." We can also learn to cook and eat our omega-3s instead of swallowing them in pill form. By eating more small fish, we can reduce the amount of fish that we harvest while still getting the same amount of omega-3s we would normally get from supplements. Harvesting fish like anchovies also has a very low carbon footprint because fisheries use nets that don’t drag on the bottom. "If we were to eat anchovies, herring, and menhaden instead of reducing them into pills," says Greenberg, "we could cut the harvest and have this really, really great source of protein on our plates." In the process of researching omega-3 fatty acids, and the multibillion dollar supplement industry that benefits from them, Greenberg tried boosting his own level of omega-3s by eating fish every day for a year. After watching his mercury levels soar, he settled on a meal plan he says makes sense for himself, and for the planet. He calls it the Pescaterranean diet, because it's part pescatarian and part Mediterranean. He says the diet, which favors seafood, vegetables, healthy oils, and whole grains, is “about the best we can get both environmentally and from a health perspective." 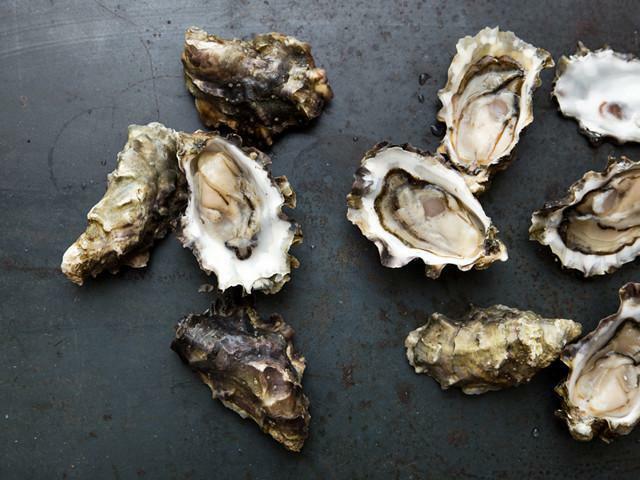 He also suggests eating more bivalves, like mussels, clams, and oysters. These shellfish are also high in omega-3s and improve the ocean environment by filtering water, creating support for other marine life. And he recommends choosing frozen over fresh fish. Fisheries often air-freight fresh fish, which requires an enormous amount of fuel and pollutes our environment. Meanwhile, frozen fish can stay frozen in the hold of a boat without a lot of added energy, making it a more carbon-friendly option that’s just as delicious and nutritious. Note: If you choose not to eat fish, you can eat plant-based foods that are high in omega-3s, like flax seeds, leafy greens, cabbage, beans, and winter squash. The ocean isn't a disposal system, it's a food system and we need to do a better job taking care of it, says Greenberg. Eating small, omega-rich fish instead of omega-rich supplements is a start.